Find rich Jewish Culture and more on Goldies Blog, Goldie's Gabs. Happy Hanukkah from Grateful Web! Dave Bidini of Can-rock institution The Rheostatics wanted to prove he was capable of touring alone. So he did — and wrote a book about it. 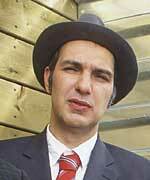 Bidini has been writing since he was 13, though back then, it was mostly for local fanzines. These days, Bidini is an accomplished author with eight books to his name, including his latest, Around the World in 57 1⁄2 Gigs. The book documents Bidini’s first solo tour since The Rheostatics disbanded in March, after its farewell concert at Massey Hall. “I wanted to get back to the way it was when I was 13 or 14,” said Bidini about his motivation for the solo tour. In one chapter, Bidini recounts his first trip to New York as a performer in 10 years. He recalls The Rheostatics’ performance at a College Music Journal showcase in 1991, and voices his regrets about not having pushed the Rheos more to the A&R representatives present. “When we ended up concentrating in Canada by default, we eschewed those rock star dreams,” Bidini said. In terms of international reception for Canadian music today, he said it is generational. “Each generation makes a sacrifice for the bands that come later, said Bidini. 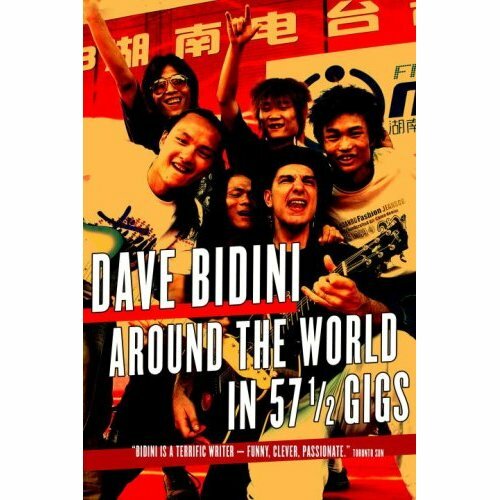 Bidini published another book just a few days prior to the release of Around the World, entitled For Tho se About to Write, a companion piece to his 2004 book, For Those About to Rock. Bidini said he wrote these guides mostly as a result of those kinds of books not being around when he was a teenager. “Most how-to books about these topics were either too dry or too instructional,” he said about wanting to provide a new perspective. But Bidini’s tenure as an author has not yet made him abandon the musician within. His recent trip to Africa was a great success, and inspired him to work on a new album in support of War Child Canada. Soon Bidini plans to travel to Ghana with with a band from Toronto to record new material at a refugee camp there. Try visiting George Moromisato's Neurohack website for his free game, Transcendence, and not be swept away by the breadth and depth of his interests. I've been meaning to bring my daughters up to speed with humanity, and A Very Short History of Humanity does this nicely. In fact everything George does is nicely. Image Copyright © 1999-2007 by George Moromisato. All Rights Reserved. Rock Insider: Music & Life in L.A.